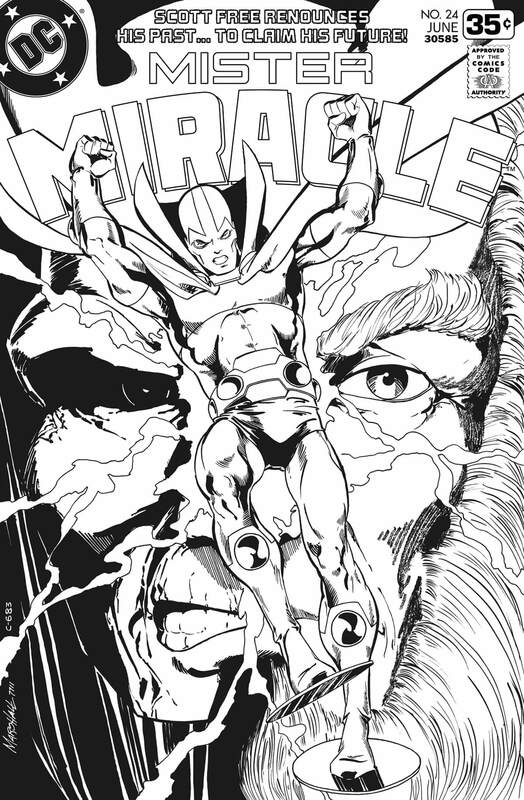 While Marshall Rogers is rightfully remembered for his groundbreaking run on Detective Comics with Steve Englehart and Terry Austin, his early work for DC also included the most-accessible of Jack Kirby’s Fourth World characters, Mister Miracle. 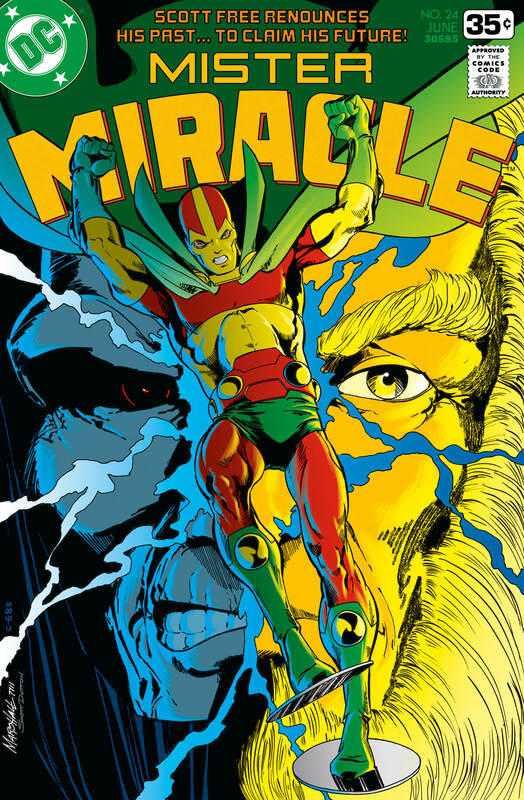 Brought back during the DC Explosion, the few issues of Mister Miracle produced introduced kids like me to one of the more intriguing universes in comicdom. 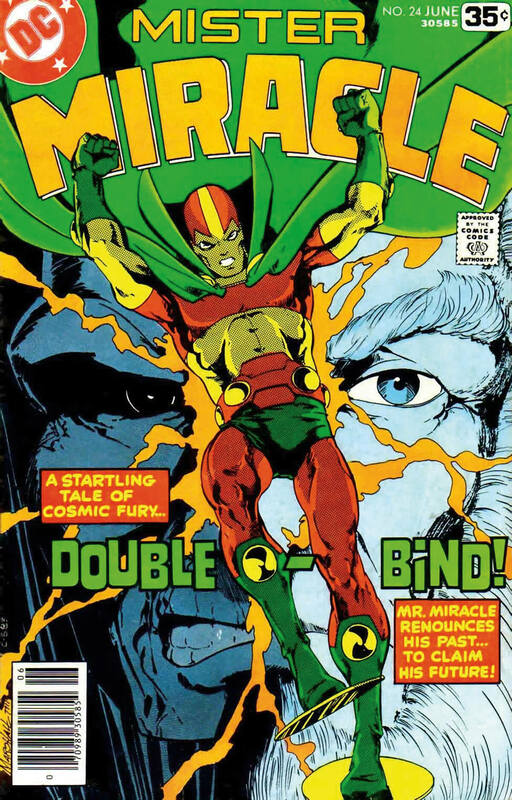 However, the DC Implosion which soon followed sidelined Mister Miracle once again until he became a part of the revamped Justice League in the 1980s. 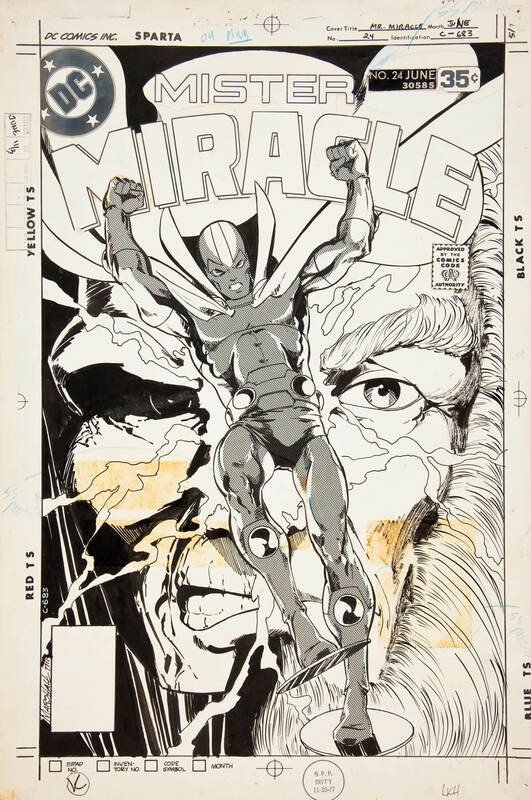 Michael Golden had replaced Rogers as interior penciller by No. 24. This is the last of Rogers’ covers on the book, and here it is recoloured. 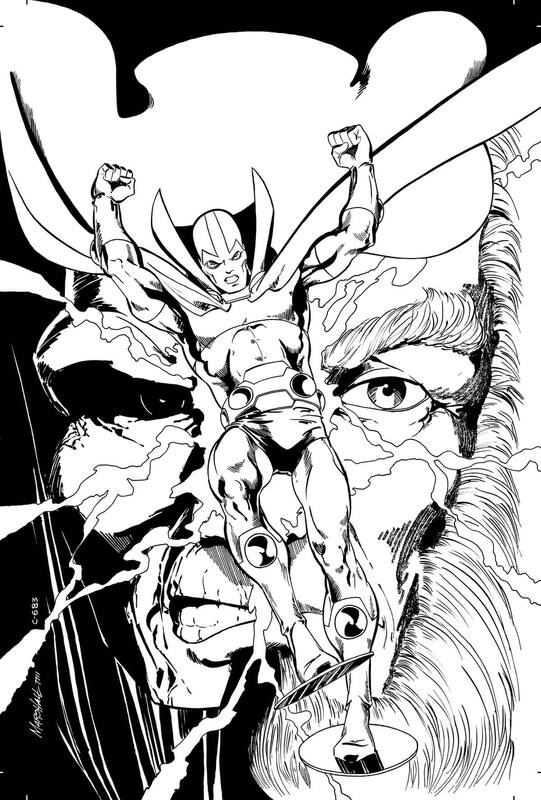 Art cleaned up, borders and trade dress removed, and image extended to add bleeds.